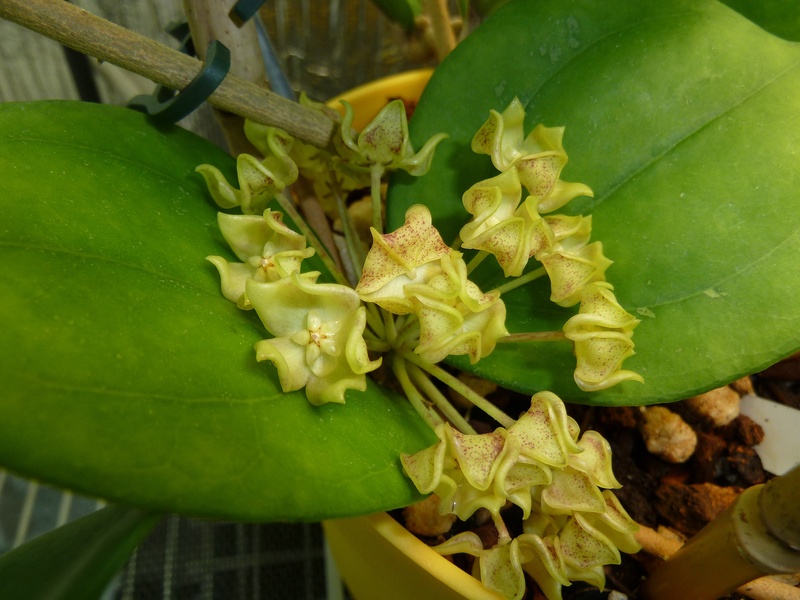 Hoya lambii aka “the Funnel Hoya,” aka “the Cursed Hoya,” the latter name comes from my experiences with the plant. Every time I start to get this plant growing actively, I seem to do something to either kill it, or set it back months. 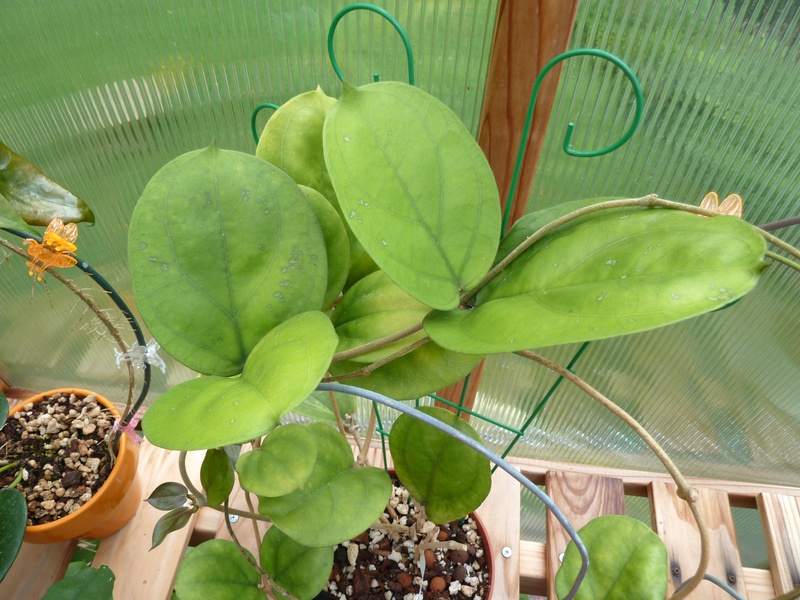 I have had the plant now for around four years, and once again it started growing after months of stagnation, and the growing tip got fried in the greenhouse. Most of the time I over water the plant, and almost instantly it goes down hill. Now it takes me days of picking up the pot, hefting it, walking all around it, sticking my finger into the soil until it is raw, before I finally commit to watering it. I don’t give up on it because it is one of my holy grail of Hoyas to try to bring into flower – but believe me the plant is maddening! 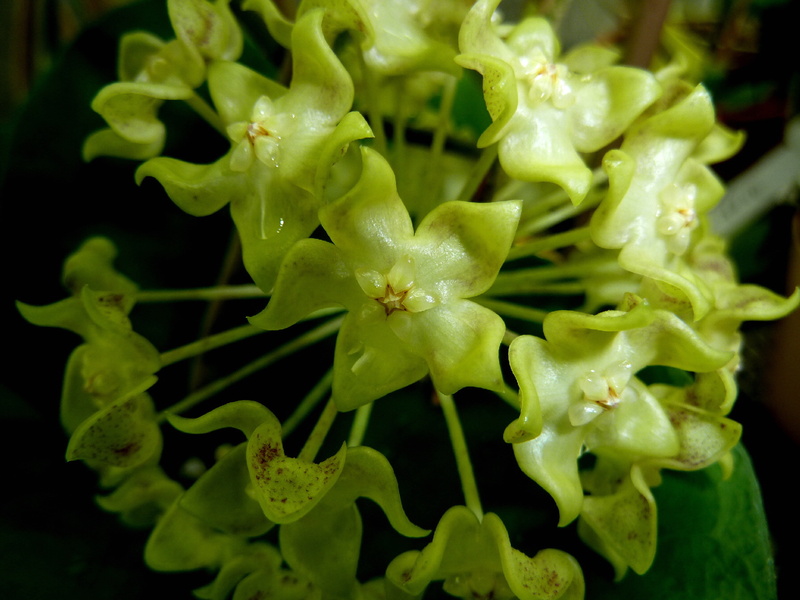 (Edited 11/15/11) Finally brought this plant into bloom, but bloom only lasted 3 hours in my extra warm plant room. Plant is getting ready to bloom for the third time. The plant started growing and blooming famously only after washing off all the the old soil mix and repotting. 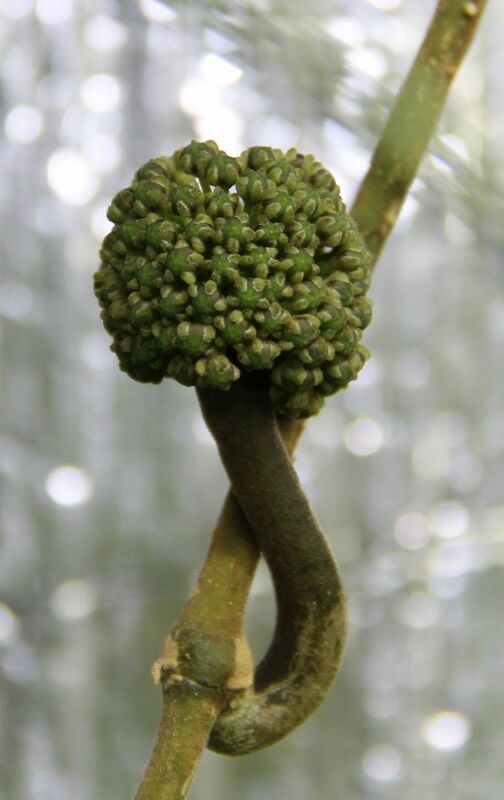 This Hoya hails from Sabah, Borneo and gets its other nick name from its large leaves, which are clustered, often forming an upright basin that fills with debris and then fills with roots and then ants. In all likelihood the plant draws much of its sustinance from the break down of the debris and the waste products of the ants. ***Edited May 15,2014*** Finally started this plant over again in leca using the semi-hydro method and bloomed it 18 months later in May of 2014. It grows much easier using this method without the worry of so easily rotting the roots. 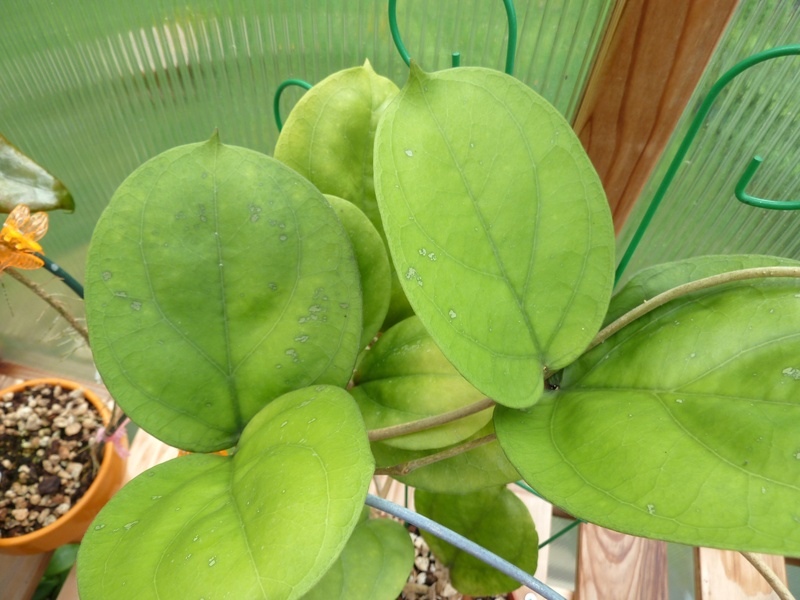 This plant still prefers it to be warm and humid and will not grow otherwise.